In celebration of the Homecoming Day for Peking University's alumni, and the 118th university's anniversary, today's featured postcard was a private swap from China, showing a hand-painted campus map of Peking University (北京大学) on a shaped card. Found in 1898, it is a major Chinese research university located near the Summer Palace in Beijing. The university moved to the current site in 1952, the former campus of Yenching University, It was the site of royal imperial gardens in the Qing Dynasty. 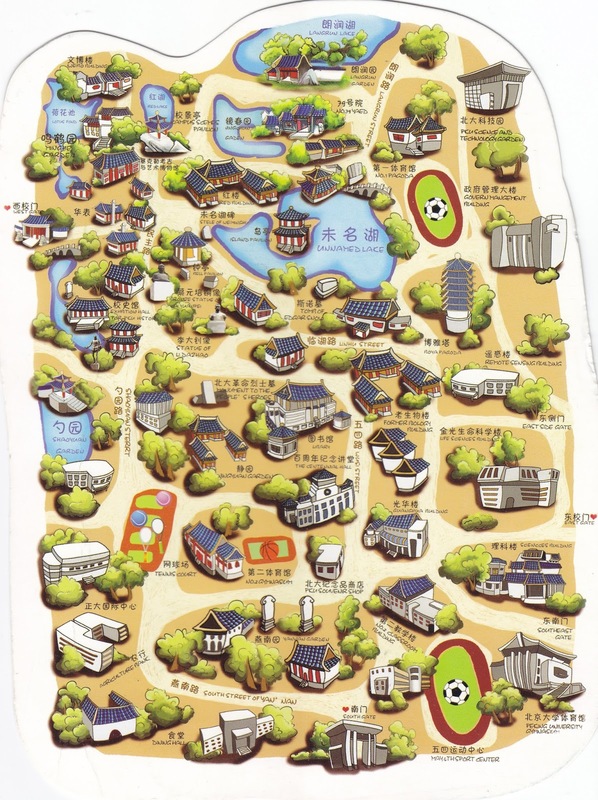 On the map, you can see many historical structures such as the West Gate, beautiful natural landscape such as the Weiming Lake, as well as the academic buildings such as the library.